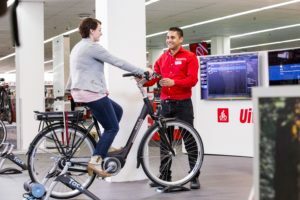 The Indian market is transforming, as demand for high-end bikes is emerging and international bicycle brands are being sold, in addition to the domestic powerhouses such as Hero, TI, Avon, and Atlas. NEW DEHLI, India – The Indian market is transforming, as demand for high-end bikes is emerging and international bicycle brands are being sold, in addition to the domestic powerhouses such as Hero, TI, Avon, and Atlas. Now the Indian market is on the threshold of entering into a most interesting phase, where the stage is set for the Indian bicycle manufacturers to shed their protective shell and compete with the most well-known global bicycle brands entering the Indian market. Interestingly, the call for change comes from the consumers and not from the makers in India, who continue to churn out the warhorse of Indian cycling, the ever-present traditional black roadster, in large volumes. The surging Indian middle class is being closely watched in the boardrooms of the international bike brands. And their initial efforts to enter the market have been enthusiastically received by the Indian consumer. The ever-increasing middle class have made their viewpoint clear – if high-end bikes are not available in this market, bring them in from the outside. Indian makers too have realized they have to cater to this rapidly growing market. Some of them identified the pulse by forming strategic alliances in the last few years. As a result, brands such as Trek, Cannondale, Bianchi, Schwinn, Raleigh, Merida, Bianchi and LA are already here and eyes are on the much-awaited entry of Giant. “Now the stage has come when their entry is inevitable and they are sure to play much bigger role in the years to come,” says Jaymine Shah, Country Manager, Probike that is marketing Raleigh in India. The undercurrent of change has not began in the hub of Indian bicycle industry – Ludhiana, but far-off in the information technology (IT) hubs of Bangaluru, Hydrabad and Chennai. 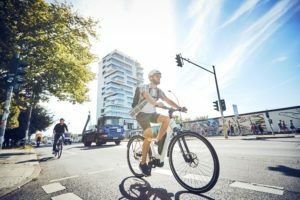 Here, young IT professionals already exposed to leisure cycling in their sojourn in the west, brought back ideas of weekend biking, along with their high-end imported brands. Over a period of only five years, their numbers have rapidly grown from a few hundreds to thousands. They associate and interact with their peer groups around the IT hubs in India and abroad, sharing their experiences on social networking sites like cycling. It seems as if the next five or ten years will completely alter the priorities of Indian cyclists. The newfound passion for leisure cycling is a clarion call for the manufacturers to understand this emerging market. “I have three bikes, one Giant and two Cannondales and I do biking on the weekend along with my young daughter,” says Satish Menon, CEO, Sports of the popular Network 18 TV channel, providing a perfect example of the new Indian cycling enthusiast. Leisure biking has become more popular in the Southern & Western part of the country, where bike clubs have been formed. Events like Cyclothon have become overnight successes. The TI Cycle-sponsored event has attracted lot of cyclists from around the country and even a few from abroad. “We were amazed by the success of Cyclothon. We were receiving entries through the Internet as well and more than 10,000 applications came in in no time. It was an out and out sell out and we were forced to stop taking online entries to keep the number manageable,” said Rajesh Mani, General Manager – Marketing, TI Cycles of India. The event brought in a who’s who of the city in Bangaluru, proudly riding their best bikes. TI Cycles will continue to promote cycling in the country, as it knows it is this market which brings in numbers to its Track ‘n’ Trail outlets. “TI cycles has taken a few initiatives in 2009 through sponsorships of cyclothons in metros and bikathons in tier 2 and 3 towns. 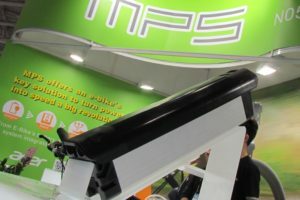 The consumer preference is shifting from conventional standard bicycles to specials categories such as MTBs, kids and ladies bikes,” said K.C. Ramamurthy, General Manager (Retail) for TI Cycles. Now, there are many events to choose from, such as the Cycle Rally to save Narmada River, duathlons (includes cycling & running), India Triathlon, Cyclothon (Mumbai chapter). Despite the growing interest in leisure cycling and the bikes that go with it; it has also been realized that leisure bikes only hold 1% share in the Indian bicycle market and no bike company, local or international, will be selling millions initially. “Probike is not looking to sell a million units in the next year as the company is privately held and understands that India is no different to any other country in the world,” says Brandon Els, CEO Probike, South Africa. Hero Cycles continue its dominating position, manufacturing over 5 million bikes in 2009. The Indian giant exported 308,944 units – an export turnover of US$ 13.80 million. Hero Cycles’ total turnover was US$ 254.35 million. Though the bicycle major has no plans of launching any international brands in the Indian market, it has launched five globally competitive all-alloy 21 speed models – Spear, Estes, Orion, Astra, and Recra. Hero Cycles is planning a major leap into the export market. TI Cycles of India plans to introduce Ducati in the Indian market shortly, though it continues to hold the news under the wrap for the time being. TI manufactured 3.1 million bicycles in 2009. The Chennai-based company registered turnover of about US$ 170 million. It sold around 2,000 leisure bikes from its international range. Avon Cycles manufactured 1,744,300 units in 2009 and exported 18,500 units. Atlas manufactured 1.4 million bikes during January – December, 2009. It exported 60,000 units and registered export turnover of US $2.60 million. Total company turnover reached US$ 63 million. The last decade has also seen the emergence of the second rung of Indian bicycle manufacturers as a challenge to the might of the big ones. Manufacturers like Safari, Sadem, Seth Industrial, and KW have entered the scene and they have also added to the total bicycle volumes in India. Over the years, they have developed their pocket of influences around the country and continue building capacity as they enter into the next phase of expansion and modernization. “We enhanced the paint shop capacity and manufactured 200,000 bicycles, exporting around 10% of the production to countries of Africa & Europe,” said R.D. Sharma, Managing Director of Safari Bikes. Sadem manufactured 120,000 bikes and exports around 35,000 bikes in 2009 mainly to Europe. “We manufacture 3,200 bikes daily and export 25% bikes to Kenya, Tanzania or East Africa,” said Mr K.K. Seth, Managing Director, Seth Industrial Corporation. “The positive trend in the market demand is likely to continue this year, as well on the strength of orders from the various state governments for free distribution. It has saved the bicycle industry a lot in 2009,” said Mr Satish Dhanda, Managing Director, Sadem Exports and Minister with the Government of Punjab. He also notes: “India exported bicycles and components worth US$185.42 million in 2007-08, exports surged by almost 15% in 2008-09 at US$ 214 million." 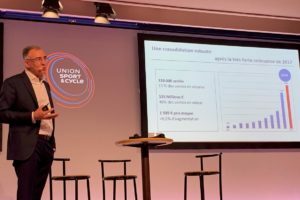 Bicycle manufacturers have asked India’s Prime Minister Manmohan Singh to consider the creation of Technology Upgradation Fund (TUF) exclusively for the bicycle sector with a view to upgrade and modernise the industry. End of January that demand was raised by a delegation from Ludhiana’s trade and industry which met PM Singh to apprise him of the problems of the industry in Punjab, and the measures required to overcome the impediments coming in the way of state’s industry, a release said which was published in ‘The Hindu’. The delegation told the PM that TUF had been of great help to the textile industry as it had made it far more competitive. 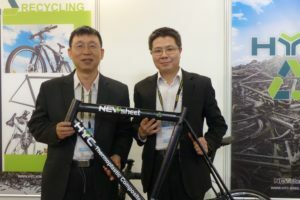 If a similar opportunity is offered to the bicycle industry, it could help it become more competitive and take the Chinese bicycle industry head on, the release said.